May 1, 2012 – Journey to my heart…. I stopped by the ball park again tonight…. A place where families gather, moods are light, siblings come along, hot dogs and candy are bought regularly…. A place where the sun shines, the wind blows, the rain falls and the game goes on…. A place where children, parents, grand parents, aunts, uncles, coaches, friends and neighbors gather for a common cause…. A place where kids willingly leave their video games at home, shut off the TV, put on their cleats and uniforms and run out the door to enjoy the great out doors…. A place where young players learn skills, attitudes, teamwork, how to celebrate and how to get through tough losses…. Southern Little League is a great place to spend some time and watch life unfold….I believe real life lessons are learned in a summer of playing ball. I remember hanging out at the ball diamond as a player who kept up with the boys for a little while. 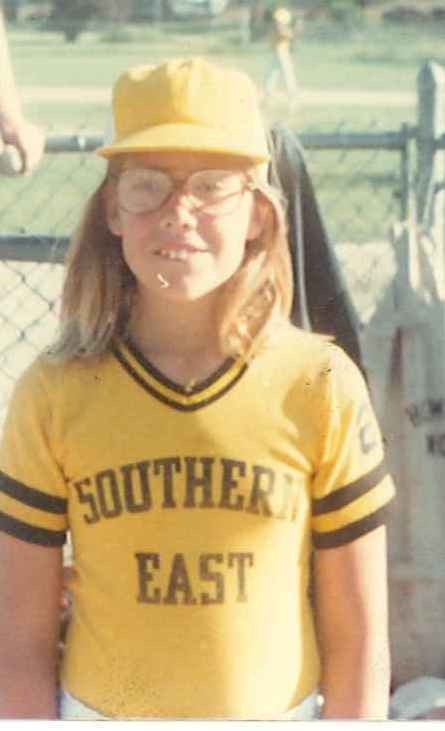 I remember cheering on my brothers in their games and hanging out with my family many evenings at the ball park. I love going to the same diamonds today to cheer on Peter. He is almost 9 and in my eyes, has great potential to play for the Tigers some day! I hope you have someone in your world who you can go and watch play a youth sport. I find that one sure way to ensure a youngster feels loved is to grab a lawn chair and cheer them on. It is a great way to spend some time and let someone know what a hero they are! Author trishborgdorffPosted on May 1, 2012 Categories UncategorizedLeave a comment on Little League….